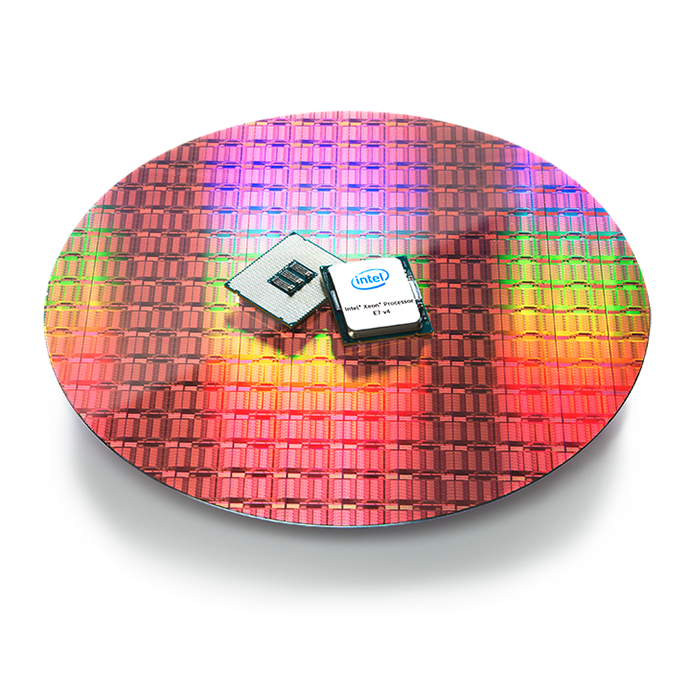 To meet the increasing demands for 24x7x365 days availability and uptime for mission-critical systems, the processor has RAS capabilities on Intel® Run Sure Technology. 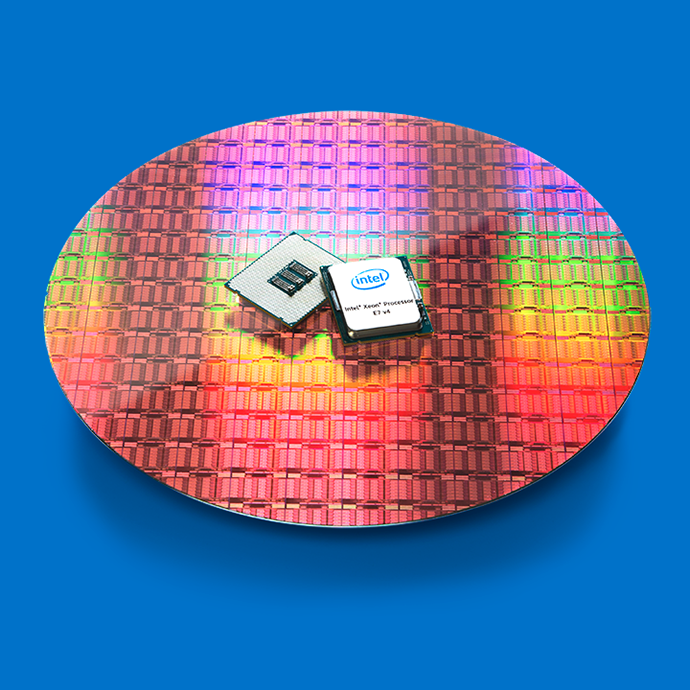 These features are unique to the Intel Xeon processor E7 E7-8800 v4 family to reduce unplanned downtime, increase data integrity and reduce costs associated with lost revenue and service/maintenance. 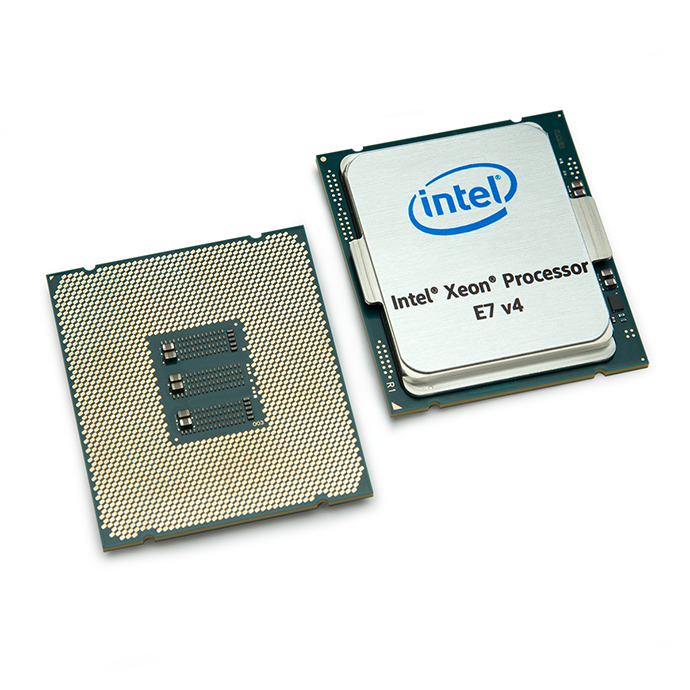 The Intel Xeon processor E7-8894 v4 supports 4 to 8 sockets (up to 32 sockets via node controller) with configurations supporting up to 24 processing cores and up to 24 terabytes (TB) of memory per 8-socket system to boost in-memory analytics and achieve actionable insights in real-time. 1Up to 3.69x based on SPECint*_rate_base2006 performance gain when comparing E7-8870 to E7-8894 v4. Baseline 1.0: 1-Node, 8x Intel® Xeon® Processor E7-8870 with 2 TB (128 x 16 GB 4Rx4 PC3-10600R-9, ECC, running at 1066 MHz) Total Memory on Red Hat Enterprise Linux Server release 6.2, (Santiago), 2.6.32-220.el6.x86_64 using C/C++: Version 13.0.0.079 of Intel C++ Studio XE, for Linux. Data Source: http://www.spec.org/cpu2006/results/res2013q1/cpu2006-20130205-25508.html, Benchmark: SPECint*_rate_base2006, Score: 2000 2) 1-Node, 8x Intel® Xeon® Processor E7-8894 v4 on Fujitsu PRIMEQUEST 2800E3 with 1024 GB total Memory on SUSE Linux Enterprise Server 12 SP2 Kernel 4.4.21-68-default using C/C++: Version 17.0.0.098 of Intel® C/C++ Compiler for Linux.Source: https://www.spec.org/cpu2006/results/res2017q1/cpu2006-20170123-46532.pdf. SPECint*_rate_base2006 score: 7380. Higher is better. Up to 1.23x claim based on SPECfp*_rate_base2006 performance gains. 1) Baseline 1.0: 1-Node, 4x Intel® Xeon® processor E7-8890 v3 with 1 TB (64 x 16 GB 2Rx4 PC4-2133P-R, running at 1600 MHz) Total Memory on SUSE Linus Enterprise Server 12 (x86_64), 3.12.28-4-default using C/C++: Version 15.0.0.090 of Intel C++ Studio XE, for Linux;, Fortran: Version 15.0.0.090 of Intel Fortran, Studio XE for Linux. Data Source: https://spec.org/cpu2006/results/res2015q2/cpu2006-20150513-36349.pdf, SPECfp*_rate_base2006 score: 1980. 2) 1-Node, 4x Intel® Xeon® Processor E7-8894 v4 on Fujitsu PRIMERGY RX4770 M3 with 512 GB (32 x 16 GB 2Rx4 PC4-2400T-R, running at 1600 MHz) total Memory on SUSE Linux Enterprise Server 12 SP2 Kernel 4.4.21-68-default using C/C++: Version 17.0.0.098 of Intel C/C++ Compiler for Linux, Version 17.0.0.098 of Intel® Fortran Compiler for Linux. Data Source: https://www.spec.org/cpu2006/results/res2017q1/cpu2006-20170123-46531.pdf. SPECfp*_rate_base2006 score: 2450. Higher is better. Up to 1.29x claim based on SPECjbb*2015 MultiJVM performance gains. 1) Baseline 1.0: 1-Node, 4x Intel® Xeon® processor E7-8890 v3 on Cisco UCS* C460 M4 server, running SUSE Linux Enterprise Server* 12 with 1024 GB memory, Oracle Java* SE 8u60, Java HotSpot 64-bit Server VM, v1.8.0_60. Source: https://spec.org/jbb2015/results/res2015q4/jbb2015-20151028-00031.html. SPECjbb2015-MultiJVM score 171,642 max-jOPS, 53,348 critical-jOPS. 2) 1-Node, 4x Intel® Xeon® processor E7-8894 v4 on Lenovo System* x3850 X6 server running SUSE Linux Enterprise Server* 12 SP1 (x86_64) with 512 GB memory, Oracle Java* SE 8u111, Java HotSpot 64-bit Server VM, v1.8.0_111. Source: https://www.spec.org/jbb2015/results/jbb2015multijvm.html. SPECjbb2015-MultiJVM score: 222,149 max-jOPS, 74874 critical-jOPS. Higher is better. Up to 1.36x claim based on SPECint*_rate_base2006 performance gains. 1) Baseline 1.0: 1-Node, 4x Intel® Xeon® processor on Fujitsu PRIMEQUEST 2800E2 with 1024 GB total memory running Red Hat Enterprise Linux* 6.6 (Santiago), Version 14.0.0.080 of Intel® C++ Studio XE for Linux*. Source: https://spec.org/cpu2006/results/res2015q2/cpu2006-20150513-36363.pdf. SPECint*_rate_base2006 score: 2760. 2) 1-Node, 4x Intel® Xeon® Processor E7-8894 v4 on Fujitsu PRIMEQUEST 2800E3 with 512 GB (32 x 16 GB 2Rx4 PC4-2400T-R, running at 1600 MHz) total Memory on SUSE Linux Enterprise Server 12 SP1 (x86_64), Kernel 4.4.21-68-default using C/C++: Version 17.0.0.098 of Intel® C/C++ Compiler for Linux. Data Source: https://www.spec.org/cpu2006/results/res2017q1/cpu2006-20170123-46531.pdf. SPECint*_rate_base2006 score: 3770. Higher is better. Up to 1.39x more benchmark users claim based on SAP* SD 2-Tier workload, running SAP enhancement package 5 for SAP ERP 6.0. Configurations: 1) Baseline 1.0: 1-Node, 4x Intel® Xeon® processor E7-8890 v3 on Dell PowerEdge* R930 with 1048576 Total Memory on Red Hat Enterprise Linux 7.1. Source: http://download.sap.com/download.epd?context=40E2D9D5E00EEF7C7D271C5E6DE6D7E842C987C4A0A3B1522ED4CB1C310CF000, SAP* SD 2-Tier Standard Application Benchmark score: 31000. 2) 2-tier, 4x Intel® Xeon® processor E7-8894 v4 (96 cores/192 threads) on Dell PowerEdge* R930 with 1024 GB total memory on Red Hat Enterprise Linux* 7.2-kernel 3.10.0-327 using SAP Enhancement Package 5 for SAP ERP 6.0, SAP NetWeaver 7.20 pl510.Source: Certificate #2017001, http://global.sap.com/solutions/benchmark/sd2tier.epx. SAP* SD 2-Tier Standard Application Benchmark score: 43,300 benchmark users. Higher is better. Up to 1.49x more GFlops/sec claim based on Intel Optimized MP LINPACK (MPL) workload, both on Dell PowerEdge* R930 running SUSE Linux Enterprise Server* (SLES) 12 SP1 OS. Configurations: 1) Baseline 1.0: 1-Node, 4x Intel® Xeon® processor E7-8890 v3 with 512 GB DR-RDIMM, Intel® Math Kernel Library 2017.0.004, MP-LINPACK MPI 5.1, N=170K, NB=192, P-2, Q=2. Score: 2161. 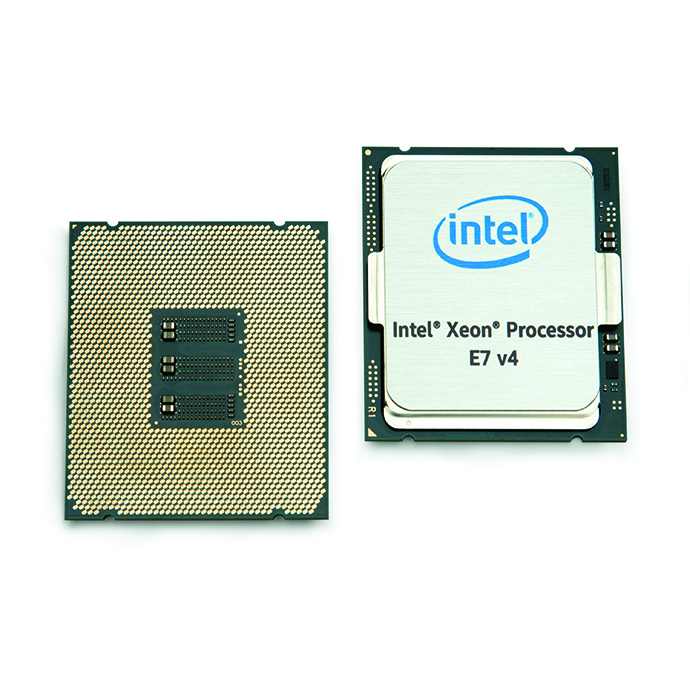 2) 1-Node, 4x Intel® Xeon® processor E7-8894 v4 with 512 GB DR-RDIMM, Intel® Math Kernel Library 2017.0.004, MP-LINPACK MPI 5.1, N=170K, NB=192, P-2, Q=2, Score: 3224. See http://en.community.dell.com/techcenter/extras/m/white_papers/20442650 for more details. Higher is better. World record claim based on best-published SAP* BW edition for SAP HANA Standard Application Benchmark* @ 1.3 billion initial records result published at http://global.sap.com/solutions/benchmark as of 30 January 2017. New configuration: 4x Intel® Xeon® processor E7-8894 v4 (96 cores/192 threads) on Lenovo System x3850 X6 with 2048 GB total memory on SUSE Linux Enterprise Server 11 using SAP HANA 1.0, SAP NetWeaver 7.50. Benchmark: SAP BW for SAP HANA @ 1.3B initial records, Source: Certification #2017003, http://www.sap.com/solution/benchmark/appbm/netweaver.sap-bw-edition-for-sap-hana-standard-application.html. Score: Runtime of Data Load/Trans (14,939 secs), Query Executions per Hour (4,273), Runtime of Complex Query (154 seconds).